A checklist app to help new employees. 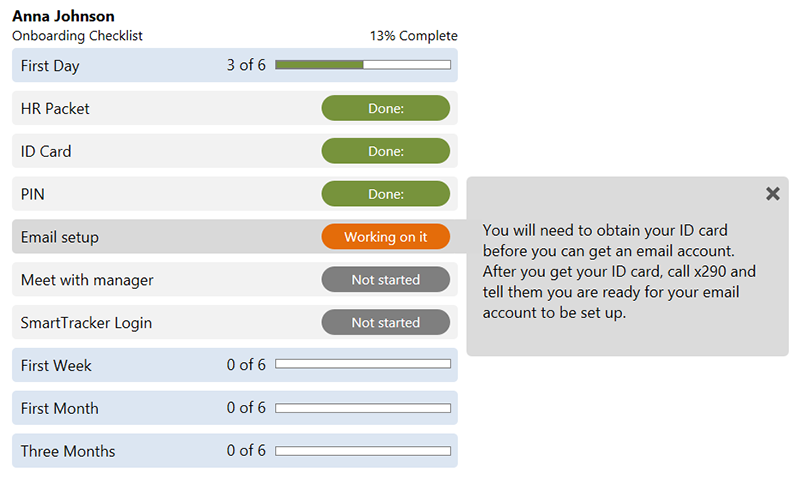 Click each task for helpful details, then mark the status as "Not started", "Working on it", or "Done". The app uses xAPI to remember progress across sessions. 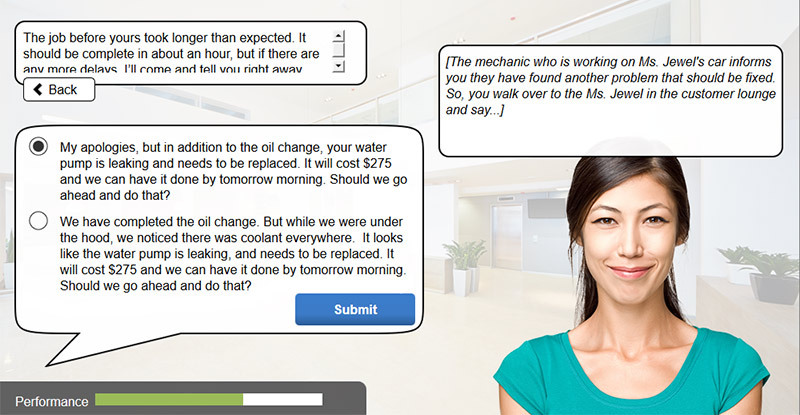 This micro learning example allows you to choose what to say to a customer to deal with a difficult support situation. Each choice will lead you down a different path to a conclusion. A summary table at the end provides coaching for the choices you make. Ready to become a serious elearning superhero?